We’re pretty early in the season, but what we’re seeing from Marty is something that we’ve rarely, if ever, seen before. 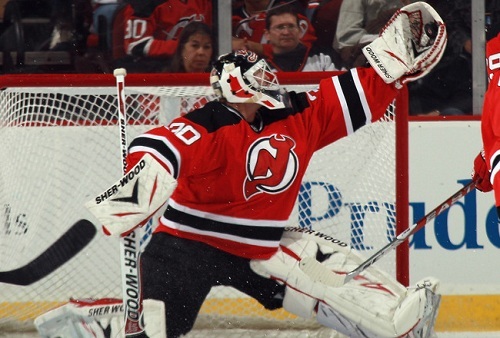 At 40 years and 8 months of age, Martin Brodeur is 3-0-1 with a 1.69 GAA and a .932 SV%. Really? Really Marty? Both of those numbers would be career highs by wide margins. Yes I know it’s early. It’s been just 4 games so far and we’ve got at least another 30-35 starts left for Marty. We’ve seen ageless wonders before, most recently with Red Wings’ defenseman Nicklas Lidstrom, but historically, we’ve never seen a goaltender do anything like this. Seriously Marty? You’ve already got the all-time wins mark with 659 wins and counting. You’ve got 3 Stanley Cup Rings. You’ve got 2 Olympic Gold Medals. You’ve got 4 Vezina’s. YOU ARE 40 YEARS OLD. GO HOME MARTY. YOU’RE MAKING THE REST OF US LOOK BAD. Seriously though. I took note of Marty’s age and decided to take a look and see how other goalies that were 40 years of age performed. Listed below are all the season statistics from 40-year old goalies. Note: SV% numbers are unavailable prior to 1983-1984 because it was not tracked. There is your list of all the seasons posted by a goaltender that was 40 years of age. The gold standard in my opinion is Dominik Hasek’s 2005-2006 season where he went 28-10-4 with a 2.09 GAA, a .925 SV%, and 5 shutouts. Johnny Bower and Jacques Plante’s numbers look good, but when they played, they were not full-time starters. Dwayne Rolosn and Ed Belfour are other modern-day comparisons, and we can see just how tough it is to be a goaltender at 40 years of age. Both goaltenders were miserable, having GAA’s over 3.00 and fairly mediocre save percentages. Finally, Ed Johnston appeared in just 38 games and was awful in them, giving up 3.62 goals/game and winning just 11 of his 38 games. So essentially, aside from Dominik Hasek, no goaltender has really been a full-time starter and has posted outstanding statistics. Even Hasek in 2005-2006 barely played half of his team’s games as he split time with with younger netminders Ray Emery and Mike Morrison. If you combine those two seasons, that’s a 54-47-7 record with a 2.42 GAA and a .906 SV%. Those are fairly mediocre numbers by Marty’s standard. For Marty to come back so strong after injuries, poor performances, and disappointments, it’s something we haven’t seen in a long time. Dominik Hasek may have been 40 when he posted those numbers, but Hasek’s NHL career didn’t start until he was 26 and he didn’t even become a starter until he was 28. Marty’s NHL career started when he was 19 and he became a starter when he was 20. I’m not saying that I expect Brodeur to keep these numbers going. I do expect him to tail off a bit. 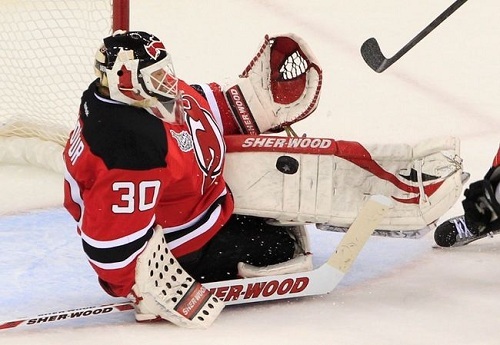 Brodeur is going to be counted on to be a stud this year as the Devils attempt to make another Cup run. The Devils lost a lot in the offseason, namely their captain Zach Parise. Many were projecting the Devils to finish near the bottom of the East (including yours truly), but Marty’s fast start has given us “experts” something else to talk about. I hope he can keep this up because we know we that this may be his last season. We should appreciate the legend giving us one last hurrah. We should cheer all of his two-pad stacks and flashy glove saves. Appreciate his brilliant puck-handling and impeccable positioning. But most importantly, appreciate the fact that a living legend, with no records left to chase, after 20 years in the NHL, is giving us one of the all-time great seasons from a 40 year-old. The best part? He’s doing it just because he loves the game.